In the 31st millennium, there is only WAR! 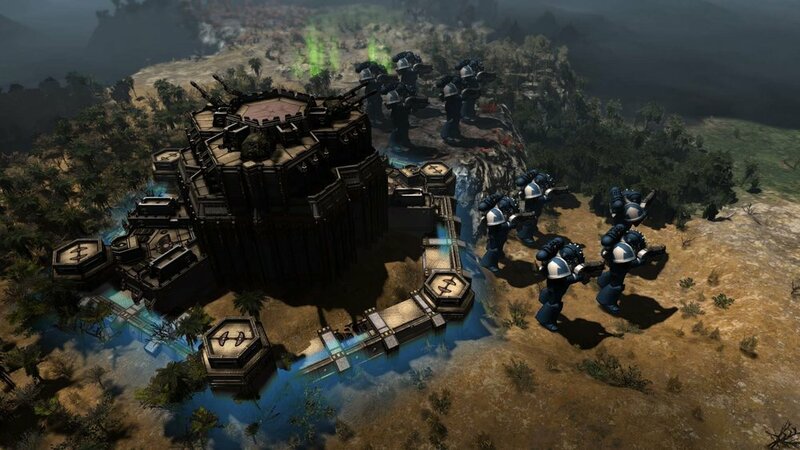 Warhammer 40,000: Gladius - Relics of War by Proxy Studios is a turn-based 4X strategy game that attempts to give a new dimension to the Warhammer 40,000 universe. Does it succeed? Read on for my review. Warhammer 40,000: Gladius – Relics of War is the first 4X strategy game set in the Warhammer 40,000 universe. Your task? Expand your base, exploit available resources, explore the map, and exterminate the enemies. Unlike popular 4X games such as Sid Meier’s Civilization, there’s a lot more emphasis on the exterminate bit. This is primarily a game about warring factions with absolutely no diplomacy. If you came to this review expecting to read about a complex diplomacy system with deep intrigue, be prepared to be disappointed. While Warhammer 40,000: Gladius - Relics of War may look similar to Sid Meier’s Civilization VI, it definitely isn't a civ clone or even close in terms of mechanics. Warhammer 40,000: Gladius is a distinct beast of a game that aims to rip apart your notion of a civ-like 4X game and beat it to a pulp. Everything single element in the game was designed to support the combat system. From the economy to even the world... it's not built for peace-loving folk. I’ll start at the very core of the game, its combat. Warhammer 40,000 Gladius relishes those skirmishes with a much more complex combat mechanic compared to its 4X peers. The world map is dived in hexes much like the new Civ games. You move your units around the hexes and when you find an enemy, you right click on them and attack them from range (if you’re a ranged unit) or melee. But even in this very basic detail, Warhammer 40,000 Gladius begins to differentiate itself. Attack is separated from your pool of movement points. So, you’ll always be able to attack after using up all your movement point (I’ll never be able to play Civilization VI’s combat the same way ever again). This is much more like the new XCOM than Civilization and it makes your armies a tad bit more mobile and lethal. Even your unit's stats are much more complex, clearly taking inspiration from the Warhammer 40,000 table-top game. There are 4 main stats you’ll have to consider. The health of your unit. Once this hits zero, your unit dies. Units with lower morale become shaken. When in this mode, they do less damage. Unike other games, units in Warhammer 40,000: Gladius wont retreat even if their morale goes low. A measure of how much damage a particular weapon does to the enemy. Few things to note here, the damage is based on the weapon and not the unit. The actual damage you cause or take depends on range and armour rating. You will always hit your target. The only question is how much damage will you do (hold down right click over the enemy to get a preview of the battle results). Some units have armour. This reduces the damage done by attacks. Weapons have armour penetration rating which essentially dictates how much damage ignores the enemies armour. Most starting units have zero armour and no armour penetration, so you will have to tread carefully against dangerous wildlife with armour. Units don’t stack in a single hex but can pass through other friendly units. Which makes chokepoints and moving large armies around the map a tad tricky. There are some tactical considerations when it comes to which units you want to put in front. Management of unit positioning and movement is an unfun chore, exacerbated by the rather harsh random map generation that tends to create way too many chokepoints to my liking. This is a bit of shame considering the combat system is very satisfying and requires much tactical thought. Positioning is key to much of the more challenging encounters. Forests and ruins tiles impart a 50% defence bonus to anyone occupying it, making it super important to use them for tough encounters. But when it comes to moving armies from point A to B, it’s just too much babysitting and micromanagement. Often times you’ll want to protect your powerful but fragile units behind fodder/cheap units that will take the brunt of the damage from whatever enemy unit you face up against as you unshroud the fog of war. You can also hire heroes that have special abilities that could give you the edge in a fight. These heroes can also be equipped with weapons and armour that you can purchase at the Jokero Trade Encampment, which is a trader on the map that sells useful items for your heroes. Having a well-balanced army and using your heroes special abilities will be crucial to winning the war in Warhammer 40,000: Gladius – Relics of War. You’ll want to be extremely careful as the game can be pretty brutal and unforgiving. You will have to be very cautious in the beginning. The biggest threat isn’t the enemy factions, at least at the start of the game. One of these rabid dogs isn't going to cause your army much trouble. But a few of these will stop even a couple of units. This low tier wildlife can tear your units apart if you're unprepared. 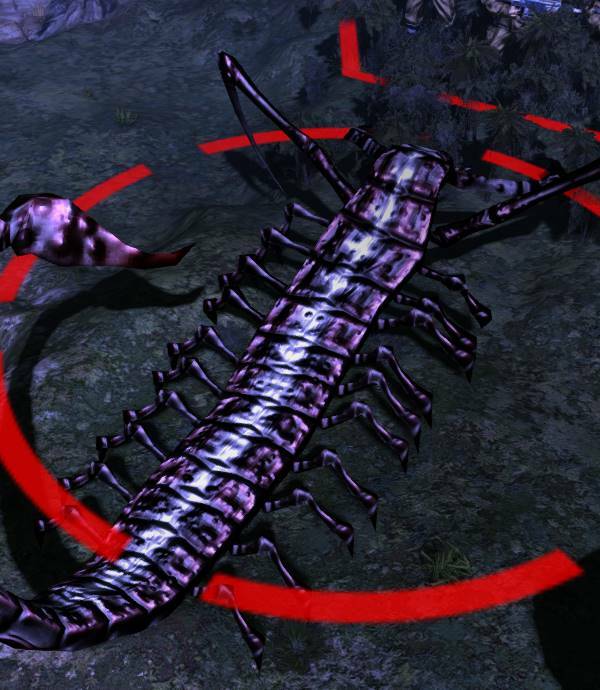 These gigantic scorpion-like creatures may seem menacing, but if you leave them alone, they won't attack. Get too close to them or their nest and watch them decimate your units in just a few swipes. Approach with caution and engage only when you have the numbers and if absolutely necessary. Avoid them like the plague. These monstrous robots won't cause much damage from afar, but if they get close, they can use their flamer weapon to destroy your units. They can be very aggressive so take note if you notice them wandering near your army. Very mobile and deadly in large groups. Always be wary of more units off the screen that might surprise you the next turn. They also have the ability to to buff up their defences to take a lot less damage. These hard-shelled Gladius Prime natives are pretty tough to take down. And on top of that, they have the ability to quickly heal up. Even one on one combat with them in the early game is very dangerous. In groups, best retreat to your fortress or city. These horrors look like they're straight out of Cthulhu fiction. Enslavers can mind control your units. Killing them will release the mind-controlled unit. Also has a nasty attack. You'll need to think twice to engage with these fellas. At normal difficulty, the AI gets bogged down with them. 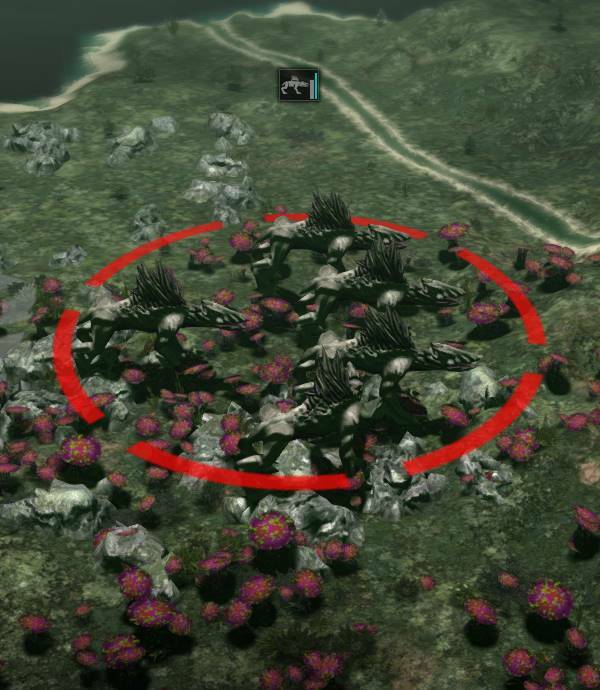 It becomes a challenge for the AI to even mount an attack on the other factions due to the aggresive wildlife. The wildlife actually presents a buffer. Their primary role seems to be to lengthen the gameplay, stopping factions from confrontation too early in the game. If you tweak the wildlife to low before starting the game, you’ll find you can get into wars with other factions in a matter of a few turns. However, I like it that the wildlife can be so tough. It also gives you lots of experience points in the early game making the final match-up with a proper faction all the more intense. It’s no surprise that Warhammer 40,000 Gladius has some pretty cool factions since it is Warhammer 40,000 after all. What’s notable is the inclusion of the Necrons, an ancient cyber undead race that has awoken from centuries of slumber. Personally, I think the last time I played the Necrons in a PC game was in Warhammer 40k Dawn of War: The Dark Crusade (hell of a game I might add). The ultimate warriors in the 31st millennium, the Space Marines are genetically engineered super soldiers. You know them all too well I'm sure as they've been the focus of so many Warhammer 40,000 games in the past. They tend to focus on fortifications and a combination of different infantry units. They aren't immortal as the legends say. They can still fall to groups of wildlife and a well-organised enemy. Better known as the Imperial Guard, they are mankind's first line of defence against the Xenos threat. Their grand cities can churn out impressive machines of war and billions of men prepared to defend humanity, in the name of the god emperor. They're the weakest faction in the early game as their infantry units tend to fall like bowling pins even against the wildlife. Always move them in large groups. These mischievous bunch of gits are bloodthirsty warmongers. Always ready for a fight, it can be more expensive to maintain an Ork army as you need to ensure they are well-fed. Orks are rewarded for fighting. When they kill units they gain ore and a little influence. When influence is high, they get a damage bonus due to their Waaagh! ability. Orks are also hardy and athletic. They can heal themselves on Orkoid Fungus tiles and they are the only faction where their infantry can run, moving much longer distances. Awoken from their eternal slumber, the Necrons seek to reclaim Gladius Prime as their own as they rightfully believe it to be. Necrons are very tough to beat as their units can rise form the dead. They are after all, cyber undeads. Necron vehicles can be repaired on the field using Necrodermis repairs. The Necrons can also use Dimensional Corridors to teleport back to their cities or Monoliths, making them tough to defeat. Warhammer 40,000: Gladius – Relics of War doesn’t have the deepest economic and city management system. But what it has is a system that’s tuned to support your war machines and army. Every city starts with a central node which has a building that builds other buildings and an administrative centre. You expand your cities by claiming adjacent tiles which has a limited number of building slots. Each building uses up one population. Building new structures too fast when you don't have to population to run it will have huge penalties to the output of your cities. There's a loyalty mechanic that also restricts developing your cities too fast. If loyalty gets to 0, there's a massive penalty to production. To keep loyalty up, you'll need to construct specific buildings that generate loyalty points. Some tiles also grant you a bonus to resource production, which as you might have guessed is very valuable. You’ll want to claim as much as these hexes as possible. Space Marines get to only have their one city but get to call down fortresses that claim surrounding resources anywhere on the map. Necrons can only build their cities on their tombs that lay dormant for centuries. The Necron population consumes ore. The Orks need food to sustain their army while the Astra Militarum can issue city edicts to boost output. Beyond your cities, there are also special tiles that grant resource bonuses to the faction that is controlling that tile. To control it, you’ll just have to move in your unit on them for one turn. The faction that can control the majority of these special tiles will have a huge upper hand in the economy and resource production. It would be much easier to train a large army. And then there are artefacts. Mysterious rare objects on Gladius Prime that give a massive advantage to the faction controlling it. Your units will get a hitpoint boost if you have an artefact under your control. The special tiles and artefacts are your impetus to explore the map. Without it, there’s no reason not to go straight for the enemy right from the start. I usually don’t really harp too much on graphics, but I need to point out some oddities especially with animation. The Warhammer 40,000 universe is such an epic universe, but some of the animations for units and drop pods, are pretty ho-hum. Your initial Space Marine building instead of burning through the atmosphere to create a real impact on the ground, simply falls in an uneventful thud. The map design can also obscure units. Certain features like the greyish ruins make seeing certain wildlife difficult. It's hard to even see your own units sometimes. These aren’t game ending flaws, but something I’d expect the devs to rectify and improve over time. Warhammer 40,000: Gladius – Relics of War doesn’t quite reach the level of a fantastic 4X game. There’s not much depth in city management and economy for it to be considered a great 4X. But what it set out to do, a 4X primarily focused on war, it does quite well. It goes deep in combat while staying relatively simple in other aspects… and that’s okay. It’s not trying to do Civilization. It attempts to do its own thing. Which is why categorising Warhammer 40,000: Gladius - Relics of War as a 4X is a disservice to itself. There's no way it can compare favourably with the classic 4Xs. It's really a wargame-lite with the trappings of a 4X. There are some rough edges, bugs that will put a stop to your progress even. Disappearing enemies, quests that can’t be ended. These can get sorted out in patches. It could do with a bit more tile variety, a bit more random quests that make the campaigns a bit more interesting. And to be fair to the small indie development team, they have committed to improving and creating new content for the game. Warhammer 40,000: Gladius - Relics of War as it is now, is a rather fun and addictive wargame-lite. It's easily one of the better games in the Warhammer 40,000 franchise. If you're a Warhammer 40k fan, this one is easy to recommend. Aug 3 Friday FTW! Thank You Strategy Gamers!